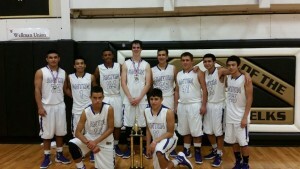 The Varsity Boys won 3 straight games to capture the Championship trophy at the Cotton Center Tournament. The boys defeated Wellman-Union in the Championship game. The Boys are off to a 3-0 start.